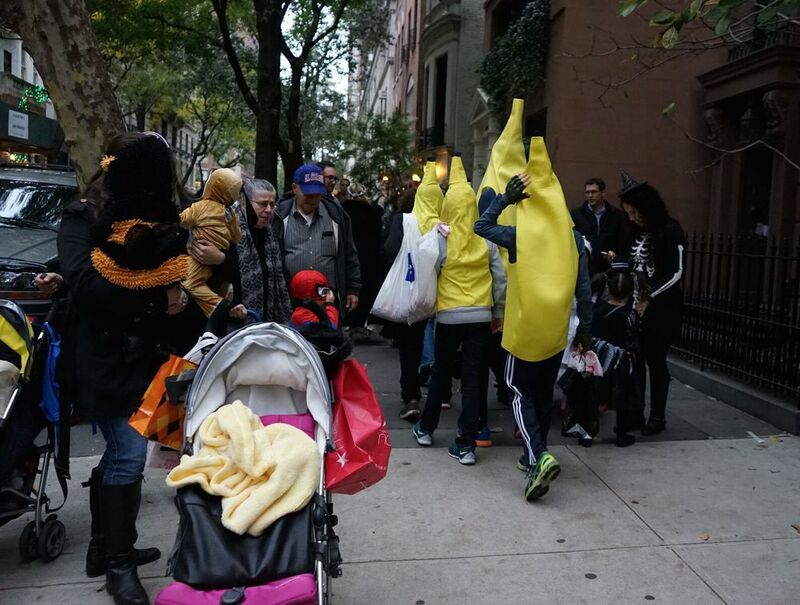 New Yorkers know how to throw a party, and with the iconic village Halloween parade, the world’s largest stretching for more than a mile, everyone is invited! With Halloween falling on a Saturday this year, it all promises to be even wilder. 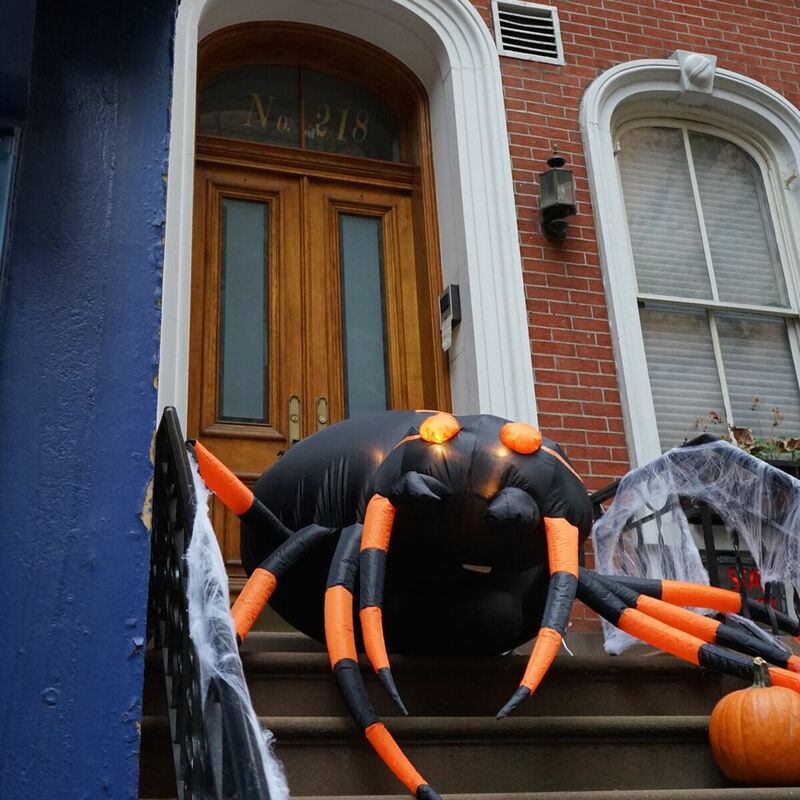 Whether you embrace the festivities or prefer to get ghoulish in a quieter way at home, here are some ideas to get in the Halloween spirit. 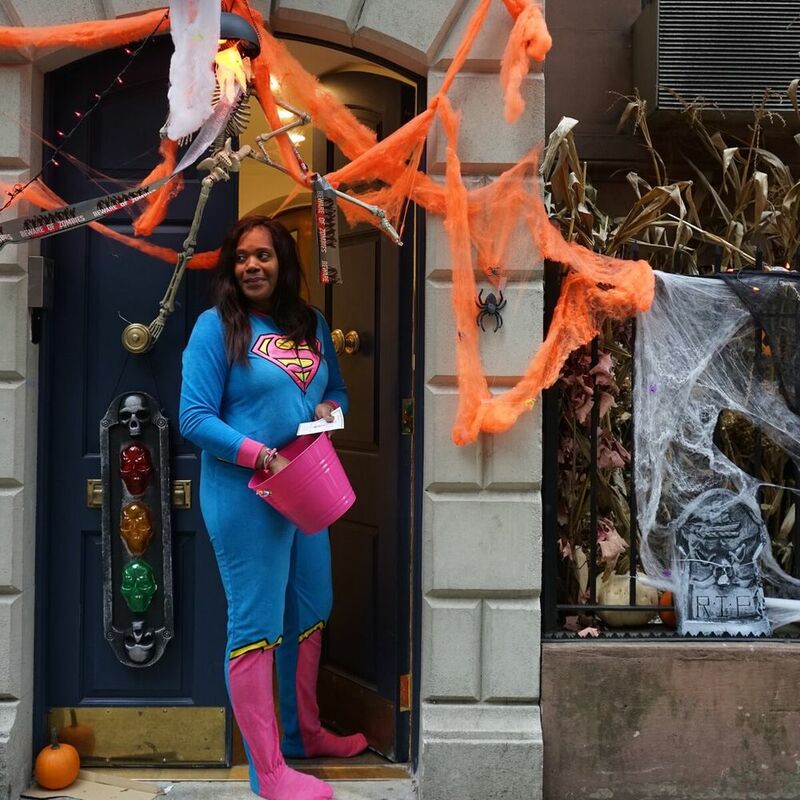 Trick or Treat: Nostalgic for the days of your own trick-or- treating head to East 78th Street, between Park and Madison, to throw yourself in the magic of a day that’s all about candy! 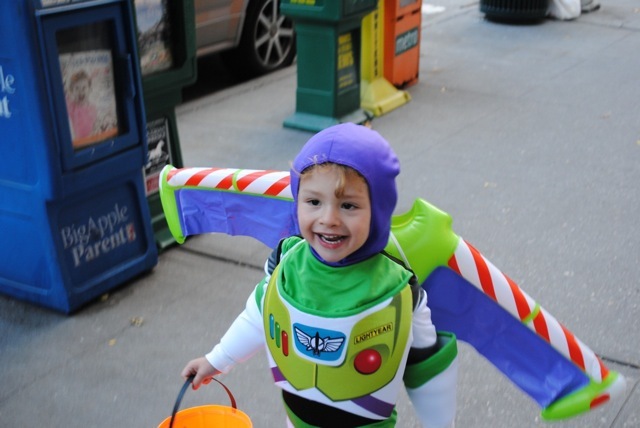 For some reason, perhaps because The Allen Stevenson School is located on 78th, these few blocks have become trick-or- treat central, even closed to traffic. (Over on the West Side, 79th St. between Columbus and Amsterdam is another hot spot.) 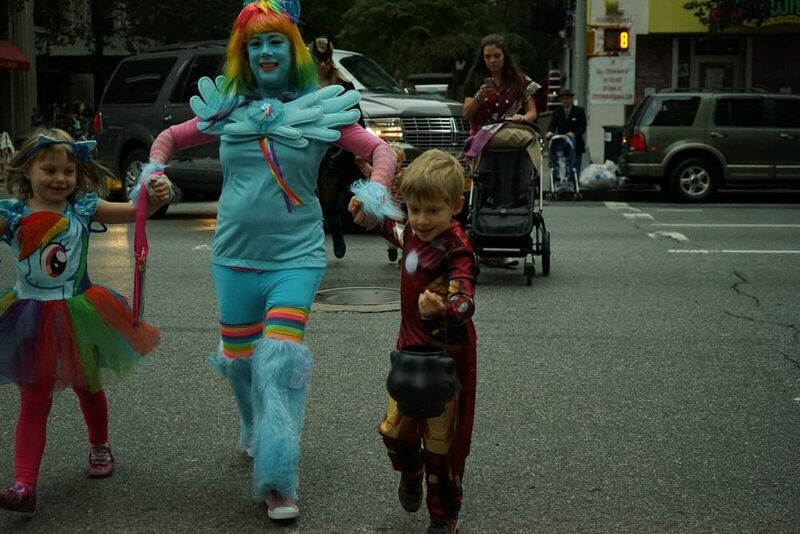 Go early while it’s still light to see the innocent delight of all the young kids, and their adorable costumes. You can’t help getting caught up in all the excitement, and the townhouses are all decked out in full decoration. Last year, we had a smile on our faces the whole time. So fun! 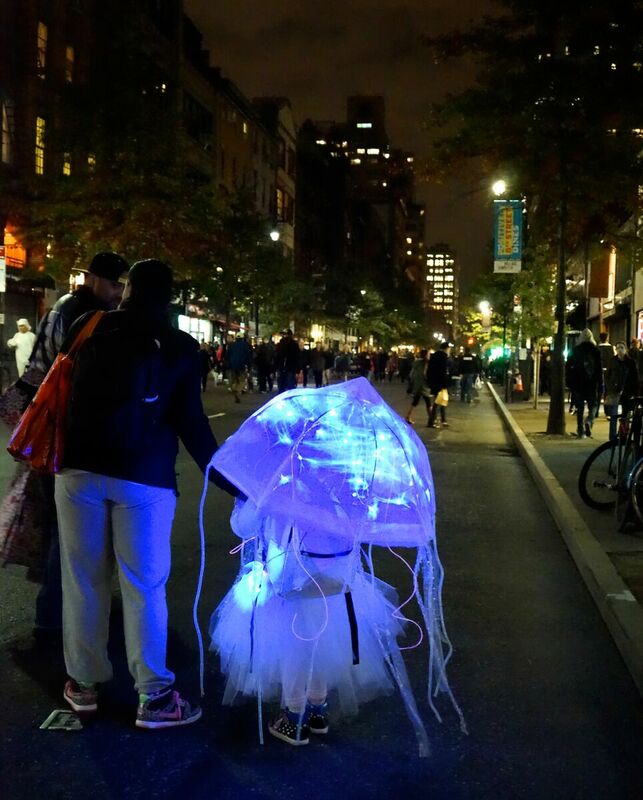 Parade: The theme this year of Greenwich Village’s 42nd annual Halloween parade is “Shine a Light”, and as long as you’re in costume you can join in. For all the details click here. If you want to watch from the sidelines, you must go very early to snag a good lookout spot. The route runs up Sixth Avenue from Spring Street to 16th St. and gets extremely crowded. Ghoulish Gourmet: Why not host a Halloween dinner? Here’s some links ( one and two) to inspire and help you plan a fun, slightly creepy, but delicious grown-up evening. Drink Up: Get in the “spirit” for Halloween by mixing up some ghostly cocktails with a list of 16 fun drinks to set the tone of the evening. Scary Cinema: Make some popcorn, grab a blanket to hide under, and choose a chilling selection from this list of the best-reviewed horror films from Rotten Tomatoes. Only for the Brave: Go if you dare to New York’s premier Haunted House, Blood Manor, with themed rooms spread out over 5, 000 square feet. Running until Saturday Nov. 7th, you still have time to be eerily entertained. Skip the lines by purchasing a R.I.P. access ticket. 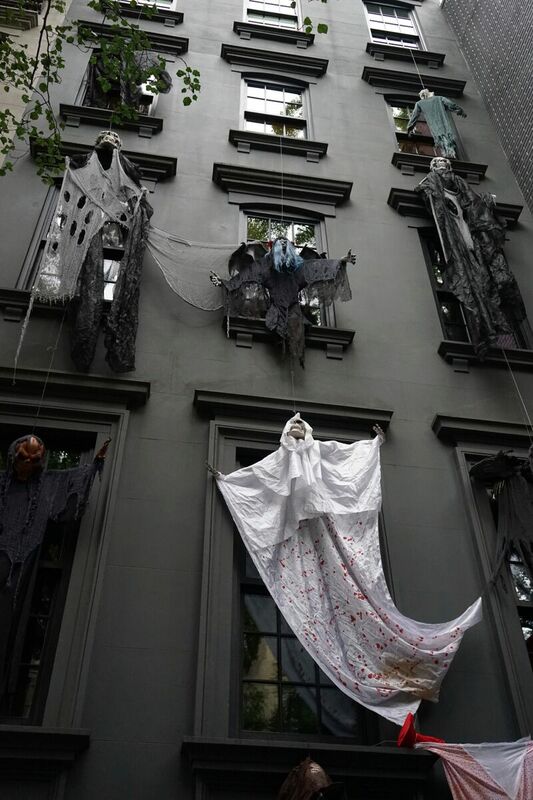 The Merchant’s House Museum, which both the New York Times and Time Out have called the most haunted place in NYC, is open year round, but it’s more fun to visit now with erie candlelight ghost tours. (There is also a Pre-Thanksgiving ghost tour on Friday Nov, 20th) Home to the Tredwells, a wealthy merchant family who lived here for 100 years, many say they have never left with numerous reported sightings and sounds. Ghostly Travels: Stay spooky visiting one of these 28 haunted places around the world including the Lafayette Cemetery in New Orleans, Leap Castle in Ireland and the catacombs in Lima, Peru. 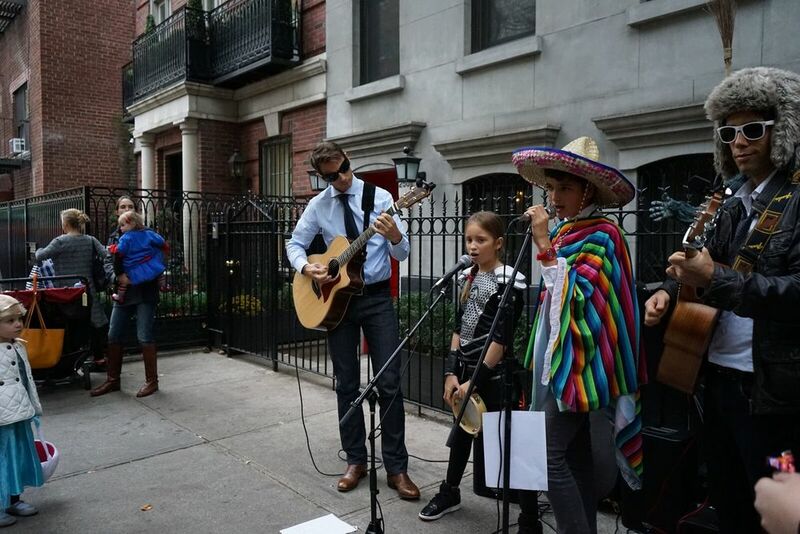 Last Chance: The Frida Kahlo exhibit at the New York Botanical Gardens ends this weekend with a Day of the Dead celebration complete with processions of large skeleton puppets and stilt dancers. 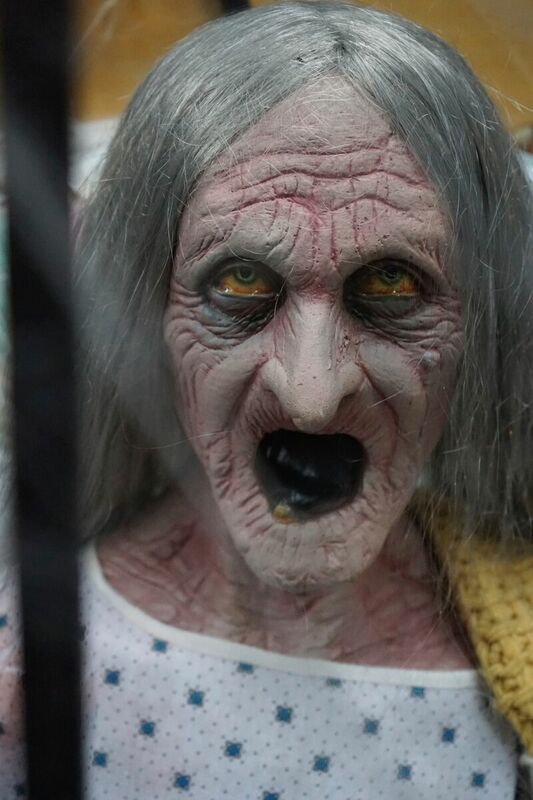 While you’re there make sure to visit the haunted pumpkin garden where master carver Ray Villafane of the Food Network transforms pumpkins into incredible creatures.